XM has been around for quite some time and continues to make changes in order to offer its currency traders the best they possibly can. They claim that they have improved the popular MT4 platform and made it faster and better primarily by offering no re-quotes and no rejections of orders which is very important. Overall, XM is a very solid and trustworthy forex broker. We would like for them to offer an ECN account and more non-forex assets to trade which is the major drawback. XM offers everything you need from a forex broker, but the lack the ‘wow’ factor to make them a standout from the crowd forex broker. 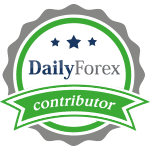 Nice to have them in your trading repertoire of forex brokers; but not as your prime broker as it lacks the small thing that would make this one an exceptional forex broker. We give XM one claw up and one claw down; the Last Bear has roared!